Ready to untangle the clutter and learn healthier daily habits? 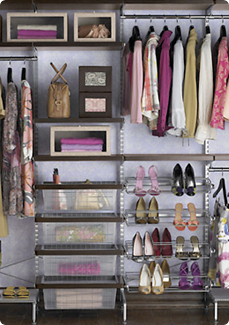 Let us assist you in creating organized solutions for your home, family and personal life. 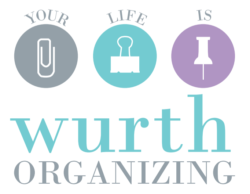 We’ll discuss your organizing challenge, family lifestyle and budget. Watch your projects get off your “to do list” while we work to complete them. Your session includes 100 core organizing tools and supplies. We make the process fun and we get it DONE. Sessions run 4 hours at $75/hour – depending on project complexity. (1) Staff Organizer provides 100 core organizing tools and supplies for the session. (2) Staff Organizers provide 200 core organizing tools and supplies for the session. (2) Staff Organizers provide 200 core organizing tools and supplies for the session. Project may be a garage, pack or unpack of your home, or any space with intense volume to move, sort and organize accordingly. A design floor plan is sketched out during the session to meet the owner’s needs if necessary. Be empowered by attending one of our upcoming organizing workshops. Want that Pottery Barn perfect feeling to your home? Be that “nosey guest” during my annual Home Tour where I will tour you and fellow junior organizers through my organized family abode. It’s a fun girls night out so join us! Workshops run from $15 – 45 depending on the Event. Passionate about your business, but need the organized skills to keep it strong? As a fellow business owner I know all the “moving marketing part/parts” needed for a business to thrive in today’s fast paced marketplace. Sessions run $150/hour – depending on business needs and its complexity. Do you run your daily schedule or does it run you? Desire to be more organized and intentional but don’t know how to achieve a balanced life? From calendar control to meal planning to financial budgeting…multiple challenges can be discussed and resolved together. Sessions run $150/hour – depending on client’s needs and family complexity. Ready? Connect with Danielle and get started! Call (602) 579-5274 or send a message.